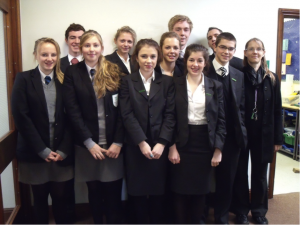 “My name is Iona Turner, I am 15 years old and currently attend Langley School in Loddon. This month, I shall be travelling to Indonesia with a group of ten others aged 16-18 to help Operation Wallacea (Opwall) carry out research. Iona is on the far left! Langley School has formed a union with Operation Wallacea. The Wallacea partnership is both an academic and conservation organisation that is focused on educating future generations on how to maintain resources in our rainforests and coral reefs. Opwall has links with universities and schools all over the world. Its research sites include Indonesia, Mexico, Madagascar, Cuba and many more to ensure that some of the worlds’ greatest biodiversity gets their/our input and support. The expedition involves me travelling to Indonesia to research the Rain Forests there. It lasts for two weeks; the first week will be spent researching the rain forests collecting data on the carbon, biodiversity and community benefits of the forest which will be then used as part of a submission for funding the protection of the Buton forests in Indonesia. The second week will be run from the Opwall marine research centre on Hoga Island in the Wakatobi Marine National Park. The site is the location of a funded conservation program, which is successfully developing a sustainable reef fishery. The Anglian blog team would like to wish all the students good luck for their trip and look forward to hearing more from Iona soon.